Zim devs have been quite busy in the game development spaces and also I might as well mention how interesting it is to discover the things that inspire these games. From crazy games such as the Chihuta video game, Olinda’s revenge now we have Babu – yep, go ahead and read it in Shona. Well, the difference with this game as far as names are concerned is that it’s not about kuberekwa i.e. being carried on someone’s back or anything but rather, according to Gerald Gombiro the developer of the game, it basically represents the serenity that comes with being carried on your mum’s back. I know we might be too old to remember how that felt but I’m sure we’ve seen how babies love that. Therefore, the intention of the game is just to relax you somehow. 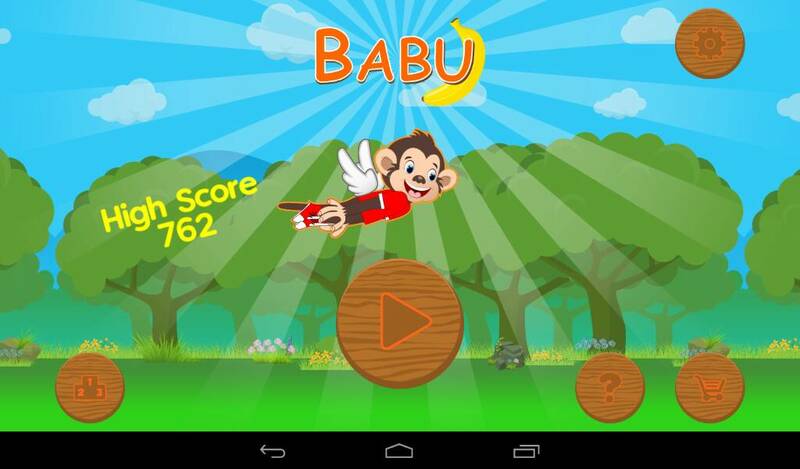 Babu is a free to play game (I played it offline too) available on Google Play store. It is based on a monkey character called Babu. Babu needs to collect bananas but these bananas are not on trees, rather they are in the air. So while you try to make him collect as much bananas as possible, you need to keep him in the air too –yep he’s a flying monkey! Your total score is however determined by the length of the distance you can make Babu cover without bumping into the other flying objects such as rocks and all. Gerald studied computer science at the National University of Science and Technology. Babu is his first game but he looks forward to developing more. In fact he is working on establishing his idea of an Indie game development studio, which he calls 2.0 Games. The studio will be in Kwekwe where he resides; so if you’re in Kwekwe (or not) and are interested in making this idea a reality, you might as well hook up with Gerald on gombirog@gmail.com. However, Gerald’s current struggle is with monetizing the games which I think is a common problem with Zim devs considering that Google hasn’t opened up merchant accounts in Zimbabwe. As a result most resort to making use of in-app advertising. In-app adverts can be a pain for the user sometimes but it’s not much of a problem if they are not ‘overdone’. I usually quit playing games because the have in app adverts!. I cant stand a video being played chawing my data.